Over the past eight years, 600,000 people have moved to Alberta. Most have settled in urban areas. But some people in rural areas argue that constituency size shouldn't just be determined by population. A recommendation to create three new urban electoral ridings by consolidating ridings in rural Alberta is reviving old arguments over what factors to use in determining constituency size. In an interim report released Thursday, the five-person Alberta Electoral Boundaries Commission recommended Calgary and Edmonton each get one new riding, and that a new riding be created northwest of Calgary to accommodate population growth in Airdrie and Cochrane. To keep the number of seats at 87, the commission says constituencies in less populated parts of the province should be consolidated so there are three fewer rural ridings. The reason behind these changes is population. Over the past eight years, 600,000 people have moved to Alberta. Most have settled in urban areas. This has created a wide disparity between urban and rural constituencies. Populations in rural areas haven't grown as quickly as the cities, particularly Calgary and Edmonton. 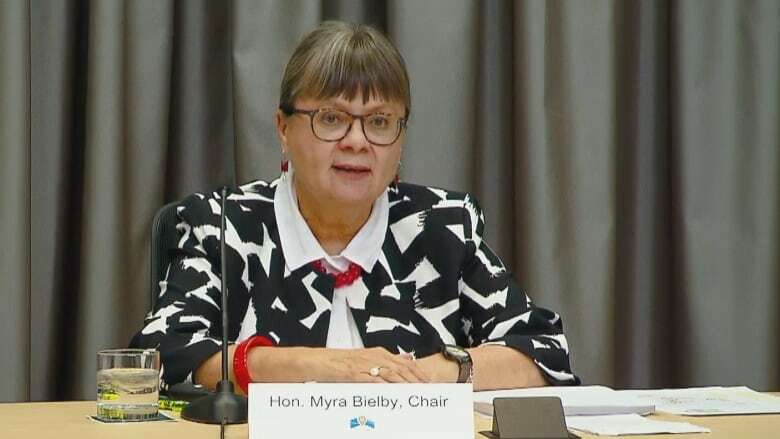 The chair of the commissioner, Justice Myra Bielby, noted a vote cast in Jasper carries three times the weight of a vote cast in Calgary-South East due to that difference in population. Larry Booi, chairman of Public Interest Alberta's Democracy Task Force, praised the commission for supporting the principle of voter parity. He said past commissions and governments were content with the status quo, either to avoid backlash from rural residents or to maintain a hold on power. "This particular commission had the guts to say, 'No, let's reform it so that we strengthen democracy rather than continue to participate in undermining it,' " Booi said. "And good for them for doing so." But people in rural areas of Alberta argue population shouldn't be the only factor in determining constituency size. Al Kemmere, president of the Alberta Association of Municipal Districts and Counties (AAMDC), said he was disappointed the commission didn't use other factors in its decision. According to the Electoral Boundaries Commissions Act, factors like sparsity of population, common community interests and geographic size should be taken into account. Kemmere argues larger, rural ridings make it difficult for MLAs to have sufficient contact with their constituents. "It identifies parity only in numbers of voters per constituency," he said. "And it doesn't look at parity from a balanced point of view in being able to connect with your MLA. I think that's one of the things that's missing." A small population compelled the commission to recommend the boundary for Fort McMurray-Conklin to be redrawn to include Athabasca and Lac La Biche. The boundaries commission relied on a population figure of 17,129 for Fort McMurray-Conklin to make that decision. But that figure was tallied after the 2016 wildfire. The commission acknowledges its accuracy is in question and wants residents help them compile better information. The constituency is represented by Wildrose Leader Brian Jean. Jean said the commission should have left the boundary untouched. He argued many people in his constituency were displaced by the fire and plan to come back once their homes are rebuilt, well before the next election. "To suggest they've moved away permanently is ridiculous," Jean said. "I just think this fire has really kicked the people of Fort McMurray at a time of low resource prices and now this commission is kicking us again by not allowing proper representation." The commission suggested MLAs in rural areas could be given more money to hire additional staff to set up satellite offices across the constituency, or have hired drivers so they could read documents on the long trips to Edmonton to sit in the legislature. Jean was an MP for a decade prior to entering provincial politics. He is aware of the challenges of representing a vast area as his federal riding included Fort McMurray, Lac La Biche and Athabasca. He says MLAs meet with their constituents and go to events on Fridays and Saturdays. Representing a vast area proposed by the commission would mean he would have to take turns going to Fort McMurray, Athabasca and Lac La Biche on subsequent weekends. As for setting up satellite offices, Jean said it would cost more money without solving the access problem. "I think most Alberta residents want to see their politicians, not staff," he said. "They want to have a face-to-face meeting with their elected officials about how that elected official can help them." The recommendations will now go out to another round of public consultations this summer. The commission is scheduled to submit its final report by Oct. 31. Any changes to constituencies have to be approved by the legislative assembly before coming into effect. Booi expects the NDP won't be as swayed by arguments to maintain the status quo in rural areas as past Progressive Conservative governments, which he says had its power base outside of Alberta's cities. He thinks that the majority of Albertans are fair-minded and will understand the reasons behind the commission's recommendations.